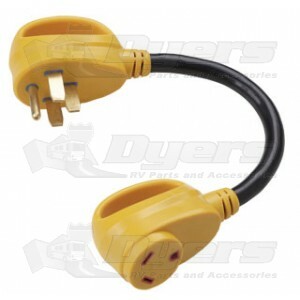 Connects 30 Amp cord to 50 Amp park outlet. Extra wide handles, for maximum grip and easier use. Heavy-duty molded connections, performance tested to the highest industry standards. Made with 10/3 STW outdoor use,hard-service cable.